Phones are expensive and for most people they are their lifeline. Your phone is a vital part of your life. I believe the most important part of the phone is the screen. You look at the screen to get the information that you need. The screen is also the part that you have to touch to make the phone work. The phone screen needs to be clear and the last thing you want on your phone screen is a scratch. That scratch is not only annoying but it makes it hard to see your information on the phone. You paid a lot of money for your phone so protect it with a quality screen protector. If you took your car keys and scratched them on your current phone screen, would it leave a scratch? I know most people are not crazy enough to do just that, but everyday use can cause scratches on your phone. Any scratch on my phone would annoy me, especially if I paid big bucks for it. I remembered when I bought my first new car and that first scratch on it was painful. 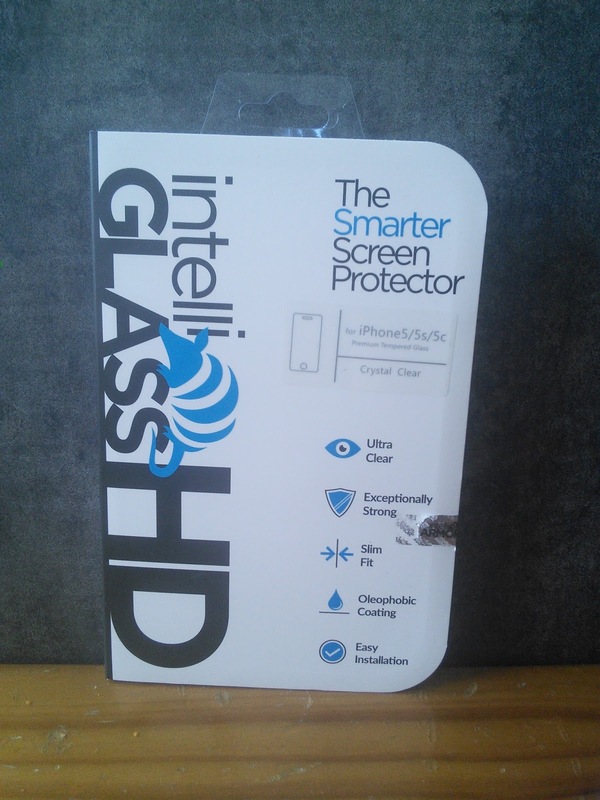 I am thankful that intelliARMOR makes a phone screen protector that has awesome scratch resistance. They say even car keys can't scratch it. My teen has been saving his money for quite some time and he wants to buy a fancy phone that costs $300 dollars. That is a lot of money, so of course I want his phone to have a screen protector on it like intelliGLASS. My son would be depressed if his screen got a scratch on it as he likes his stuff to look nice. He is the kid who cleans the bottom of his shoes everyday. So I can just image what he would do over a scratch. My contribution to his new phone is an intelliGLASS screen protector. This cool screen protector has an ultra-hardened REAL glass layer that has been specially treated to have greater scratch resistance than steel. When I gave my son his new screen protector, he opened the box up and read the included instructions. He told me that the screen protector would be easy to attach to his new phone, he has not purchased his phone just yet as he is waiting for birthday money. My son likes all the items that are included in the box that ensure there will be no smudges or fingerprints on his phone while he is applying the screen to his phone. He loves that the silicone base layer adheres without leaving bubbles or residue. I will post a picture of this on my son's phone once he buys it. I love that there are several videos on intelliarmor's website to help non techie people, like me, install the screen protector. 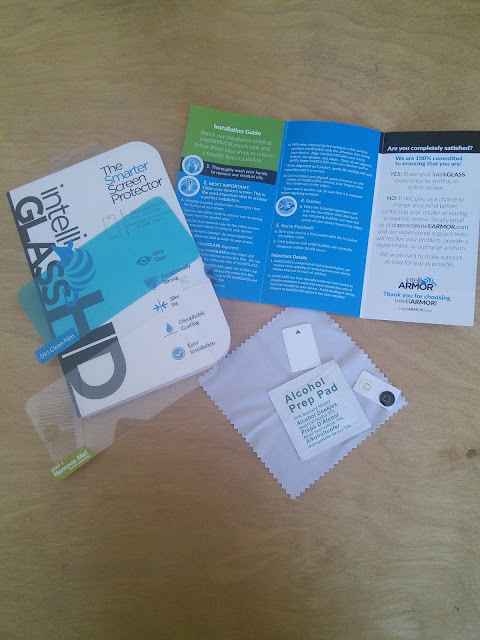 You can get these awesome screen protectors for most phones and even tablets. Check out their website to see if they make one for your phone. I need this! I have a zillion little scratches on my phone and I hate that. I have never had a phone sans protector. I'm so worried. I am very careful with my phone and other gadgets, so I use screen guards and cases. This is definitely something I'll consider. I use a case but no screen guard but I'm very careful with my phone. I have this same screen protector and I love it! I definitely need this. I'm always dropping or scratching my phone. Thank you! I used to have a protector on my phone but IT got so scratched up that I couldn't see through it anymore so I tore it off. Maybe it's time for a new one! I just got a new phone I need to get one for. I scratched the heck out of my last one. I need one of these. I am always dropping my phone. I need this in my life. I am clumsy and I always drop my phone. I have one of these on my phone!!!! Can never be too safe. Especially with how much phones cost these days! I just got this for my daughter. It works great and she loves it. I have been wanting to get one of these for my phone. It seems like a regular screen protector just doesn't do the trick. I love these! I had one of these on my old phone and one on my iPad. These are great and do help a lot. Thanks for sharing! I need to purchase one of these as I am so clumsy and they definitely do a good job of protecting your phone from damage. I tried a different brand and could never get all the little bubbles out from under the protector, so my screen always looked cloudy. Maybe these are better!